“Crying babies are like good intentions: Both should be carried out immediately!” ― Brigham Young. One has to wonder what Brigham Young went through with his child to be famous for this quote. Here’s our guess. Your good intentions may be wearing thin with your crying baby but don’t worry! Your baby is just trying to communicate the only way they know how. We need to ‘carry out’ the benefit of this form of communication. Even when it doesn’t feel like the crying is helping during our very sleep deprived lives. According to the American Academy of Pediatrics, comforting a crying baby will take a few tries. With your patience and practice, you will find what works best for your baby. You will also learn what doesn’t work your little one. We will discuss a few tips to use to help you get through the challenges of a fussy baby. Your baby has a voice. He is trying to communicate his/her needs through crying. In the beginning, the cry will sound like an unsolved mystery to you. Over time, you will be able to run through the baby checklist quickly and solve the mystery of your baby’s needs without any hesitation. When did I last feed my baby? Record feeding times. Your baby will show signs that it’s time to eat. Sometimes they will make a lip-smacking sound or put their fist in their mouth. Does the diaper need to be changed? Check the diaper. Babies often cry when they have wet or soiled their diaper. Changing diapers will happen very often. When was the last time I changed a poop diaper? A baby can cry from being constipated. This can be very painful for a baby. Make sure to monitor how often you change these dirty diapers. Is my baby hot or cold? A baby can sometimes cry because they are uncomfortable with clothing or temperature in the room. Is my baby sick? Take your baby’s temperature. Make sure they do not have a fever. Baby’s temperature of a fever differs from adults. Check fever guidelines. What time was the last nap? Some babies usually nap at least twice a day. Make sure to record when the nap occurs and how long it lasts. It sometimes becomes a regular pattern over time. Using this checklist should be helpful during challenging times. These are only a few typical scenarios as to why your baby may be crying. He is trying to communicate to you that something is uncomfortable, he is hungry or he is tired. If your baby is showing serious signs that do not alleviate over time. Do not hesitate to call the doctor for help. Sometimes a baby vomits or spitting up a lot which is known as gastroesophageal reflux (GER). If you think your baby is showing serious signs of this, please contact your pediatric doctor immediately. According to Dr. Harvey Karp, he hypothesizes a baby is born with a “calming reflex” to calm the most fussy baby. The baby should be stimulated in a way that resembles sensations of the womb experience. The 5 S - method includes swaddling, side/stomach position, shushing, swinging and sucking which helps calm the baby. There are a variety of methods to comfort a baby but some methods work better than others. It all depends on your baby. Each baby has different needs and preferences to be soothed. A baby often has many different cries. A cry can be for hunger, diaper change or being overtired. 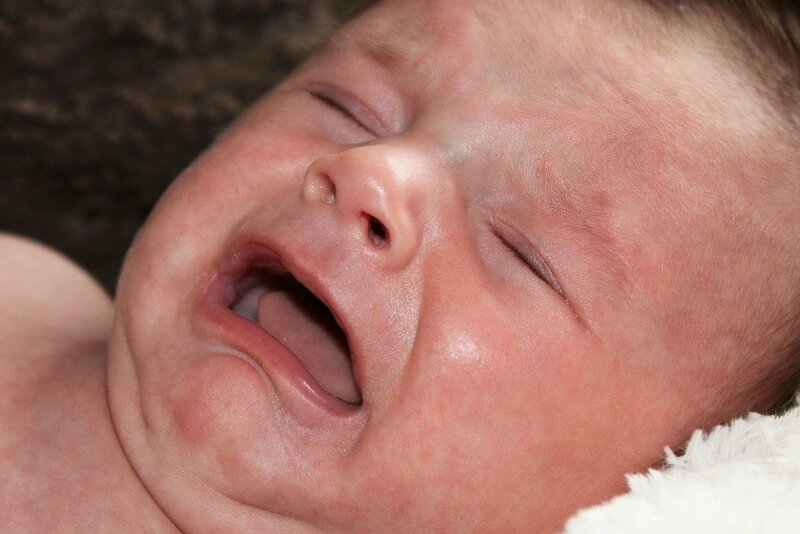 The American Academy of Pediatrics states that a newborn can routinely cry for one to four hours a day. Hearing your baby cry will be difficult but you cannot expect to be able to console and know why it happens every time. It’s a very big learning curve. Be patient and understanding. Do You Need a Break from Your Fussy Baby? When you are mentally tired and physically exhausted, it will be very challenging to calm a fussy baby. If you have tried everything and nothing seems to work. We strongly recommend these tips to help you through and take a moment for yourself. Don’t feel guilty for needing some time for yourself. Being a new parent is very challenging and rewarding at the same time. But we all need a break once in a while. It’s OK! How to calm your fussy baby may not be a simple question to answer. Every baby has different needs. But every baby needs to be fed, their diaper changed and needs to burp after being fed. We have also equipped you with the knowledge of a baby’s needs checklist, ways to comfort your fussy baby and most importantly some ways to take time for yourself during times of duress. All are equally important when trying to comfort your fussy baby. Be patient and try different methods of soothing. Your baby will respond to what he needs most. Don’t forget what Brigham Young said. Your good intentions for your little one is dependent on your ability to “carry out immediately!”.